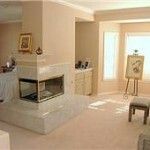 Gorgeous 4 or 5 bedroom and 3.5 bathroom home in an exclusive, gated South Orange County community! The price for this beautiful Orange County house has JUST been reduced! Live like the Real Housewives of Orange County and in the lap of luxury in this steal of a home. With views for days, you will be gazing out onto all the beauty South Orange County has to offer: canyon views, hill views, green fields views… In this Dove Canyon treasure you will feel like royalty! Not only will you be living the gorgeous OC lifestyle, but you’ll be doing so for the LOWEST price per square foot of any home in this guard-gated community! This 4,000 square foot house is the epitomy of grace and elegance. It’s warmth and superior design envelops you as you walk in… The open floor plan takes full advantage of the lovely unencumbered hillside views surrounding the home. This custom home with a grand library / office is executive living defined. Invite your friends over for a fun-filled backyard bbq. Complete with a firepit, built-in bbq, and lush greenery to enjoy, your friends will feel right at home in your large backyard. You can entertain ’till your heart’s content with the gourmet kitchen, which includes custom countertops and cabinets. Cook delicious meals (or bring in a fabulous chef to cook for you!) for your nearest and dearest. 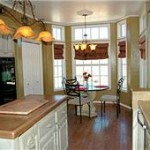 If you do decide to stay in the kitchen, do not worry: the kitchen opens into the family room; creating a homey feeling. Take your kids to play at the community pool or tennis courts… Play golf at the Dove Canyon Country Club… Or dine at the Country Club restaurant. This gorgeous OC home is South Orange County living at its finest!